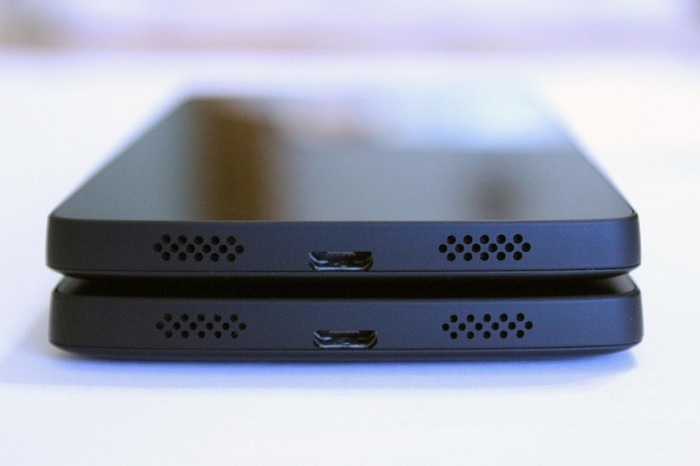 Since the launch of Google Nexus 5, several users complained about some aspects of the handset, including poor audio, protruding SIM tray and loose buttons. Well, it seems both companies thought about the issues, and the latest batch of Nexus 5 are shipping with some hardware revisions, fixing the hardware-related issues. There were some camera-related issues as well, but they were fixed by Google with the Android 4.4.1 update. According to a XDA-Developers Forum user, the new Nexus 5 fixes the above-mentioned issues, and comes with a larger speaker grills, which could solve the audio-related issues that were haunting Google Nexus 5 users and were pointed out by many blogs in their reviews. As you can see from the image below, the latest batch comes with larger grills. It’s good to see that Google and LG stepped up and fixed the hardware-related issues with the Google Nexus 5. And, obviously, many early adopters may be a little frustrated, but that’s how it is, that’s the cost of being an early adopter. Currently, there’s no way to distinguish between the revised version and the older one, but if you ordered your Google Nexus 5 recently, you may end up with the new version.